Committees continued their work in both the House and the Senate. With only two more weeks before the first committee deadline, both chambers are spending very little time on their respective floors and nearly all of their time in committees. 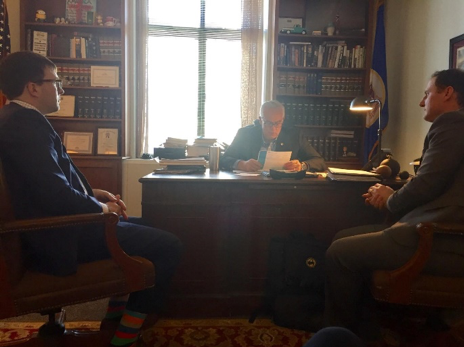 One highlight was that a proposal to align the Minnesota Health Records Act with federal laws and regulations – including HIPAA – passed its first House committee via a voice vote on Thursday morning. Medical Alley Association is a member of the coalition supporting this legislation. Enacting this proposal facilitates informed decision making about care and treatment options, while not weakening the privacy or security of protected health information. Governor Dayton will give his State of the State address tomorrow (Wednesday) evening. Expect to hear a few details about what he will be proposing in his supplemental budget, which is due to be released at the end of the week. Given this is his last State of the State address, he’ll likely spend a fair amount of time reflecting on his time as Governor. Yesterday, Monday, March 12th was Medical Alley Association Day at the Capitol. It was a big success! 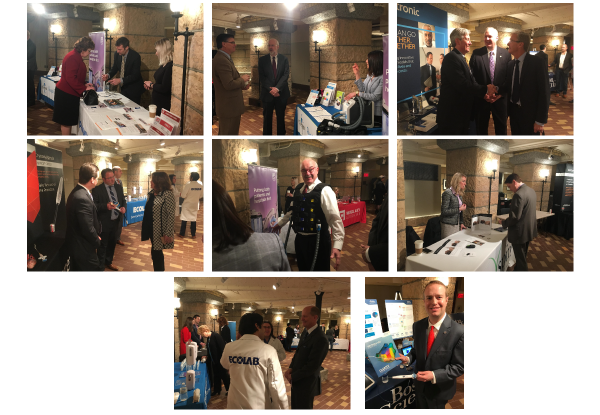 Several Medical Alley companies came to the Minnesota Capitol to exhibit their innovative, life-saving products for legislators and the broader capitol community to see and learn about hands-on. Thank you to all the legislators who were able to stop down and visit with and learn about the products developed and manufactured by some great Medical Alley companies! Members of Medical Alley also met with legislative leaders from both parties to advocate for issues important to important to the Health Innovation & Care industry, such as improving the early stage ecosystem and the importance of educating, training, and attracting a high-quality workforce. 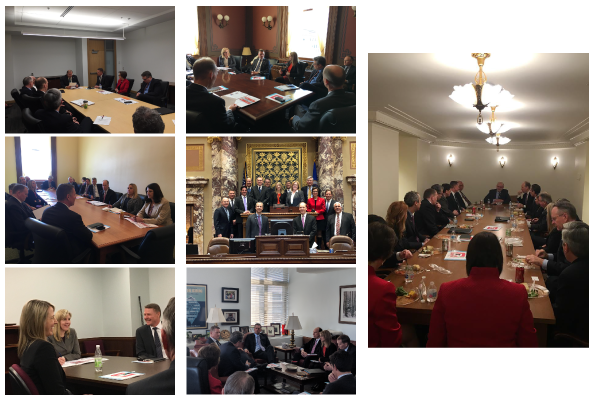 A big thank you to Reps. Kurt Daudt, Joyce Peppin, Matt Dean, and Melissa Hortman; as well as Senators Paul Gazelka, Michelle Fischbach, Roger Chamberlain and Tom Bakk for taking the time to meet with Medical Alley members! Thank you to everyone who participated and made 2018’s Medical Alley Day at the Capitol a great success! Please watch soon for an early Save the Date for 2019! 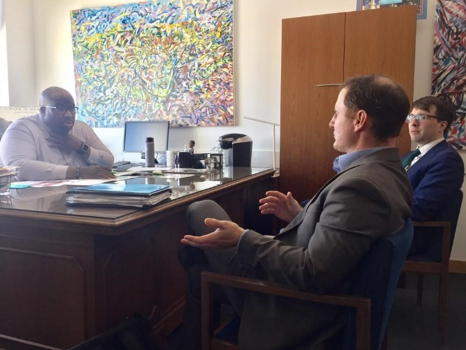 We were fortunate this week to have members of the OneOme team come to St. Paul and meet with legislators to advocate for restoring the Angel Investment Tax Credit and the rest of the Health Technology Economy Agenda. Please let our Government Relations team know if you would be interested in hosting a tour of your facility for federal, state or local elected officials. We will take care of all the logistics!  Elected officials from all levels of government enjoy getting out and seeing Medical Alley members’ facilities first hand and a tour is an excellent opportunity to share the story of your success with them. Also on Friday, Congressman Tom Emmer hosted a roundtable discussion at his office in Otsego with some Medical Alley members. 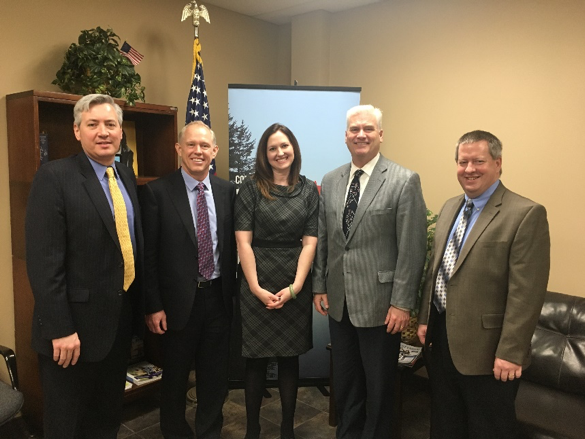 This was a great opportunity for Congressman Emmer to hear from Medical Alley members about their companies, what issues they are having, and to have a discussion about ways to improve the innovation climate in the United States. Thanks to Lonny Stormo from POPS! Diabetes; Randy Kvalheim from Teamvantage; and Mike Hagenson from Medtronic for attending and for Congressman Emmer for hosting and taking the time to hear from Medical Alley members! Let our Government Relations team know if you are interested in hosting, or being part of, a roundtable with federal, state, or local elected officials. We’ll take care of all the details!